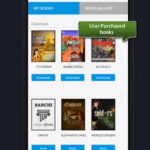 “White Labeled e-Reader app” It is ever since the first launch of eReaders, there weren’t many changes to it until 2017 when we saw tons of new features and advancements being incorporated. Now keeping in line with how well the changes were accounted for and the positive consumer response, there are a lot of e-Reader features and predictions for 2018. Before we talk about the predictions for 2018, let us snapshot why 2017 was groundbreaking for the White Labeled e-Reader app industry. => Large-scale eReaders became popular and 10 inch writing slates were released for the first time in 2017 and were well received as it raised $15 million dollars from pre-orders itself. => Onyx also came with the new large screen eReaders as well which were all integrated with a WACOM touchscreen and also stylus layering. => Barnes and Noble came up with their very first eReader which was called the Nook Glowlight 3. => Amazon came up with Kindle Oasis 2 which was the first eReader that came with a full-fledged audible bookstore and the audio player deserves a mention too. 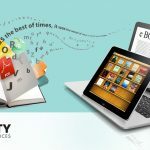 This is not all as too many significant events which took place in 2017 as far as the eReaders industry are concerned. The best part about these launches was that they were all well received by the masses. So, there have been a handful of forecasts and predictions for the upcoming year and let us now focus on what they are. 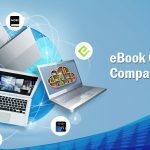 Full-color readers: it is likely that 2018 will be the year when we will finally see full-color eReaders in the market. Colour paper was found back in 2010 ever since E-Ink Triton came into being. However, no company managed to launch a full-color e-Reader app so far because of poor refresh rates along with non-competent hardware and also the issue of colors being washed out. However, with the latest advancement in color e-paper, there is now a possibility of having full-color eReaders in the market. They are likely to make use of CLEARInk which is a new form of e-paper that is likely to emerge popularly. It is also likely that in 2018 Kobo will release their own audiobook solution as well and the days of kindle dominance might be over. The audio bookstore is likely to be powered by Overdrive. Also, keeping in mind the kind of response which large screen readers received, this trend is likely to continue with new models offering large screens which come with integrated display and backlight and other advancements in it. So, this year surely looks very promising for the eReaders industry. If even some little changes keep coming, the industry is likely to stay afloat because one of the common buying strategies is that buyers always tend to look for something new which is the buzz in the market. “E-book Reader App” technology keeps on making a good deal of progress, eReaders Solutions too are likely to benefit from it. From crisper colorful display to swifter page controls, better animation, improved light effects, easier readability and more; the list of possible features could go on and on.